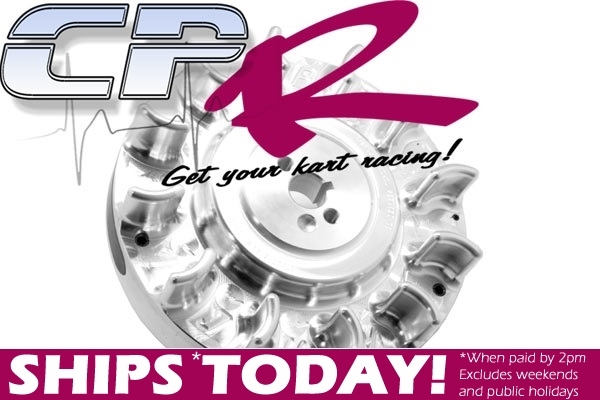 Don't risk dangerous explosions of your stock flywheel when increasing rev range by removal of governors on your Honda clone engine. 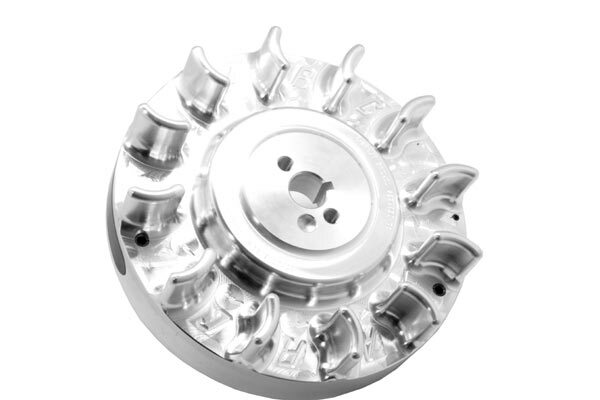 Get one of our ARC alloy flywheels and comply with all race regulations. The flywheel to which all others are measured. 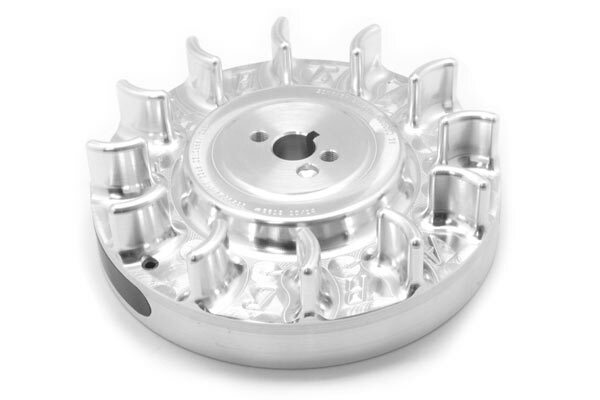 SFI certified billet aluminum flywheel for Honda GX160, GX200, & 196cc Clone. The keyway is fixed and the stock pull starter can be used. Weighs 3.4lbs and incorporates a special low drag fan design unique to ARC flywheels. A specially designed high-power rare earth(neodymium) magnet and carrier design creates the hottest spark possible. Now featuring 8 degrees timing advance built into the keyway. 32 degrees BTDC. 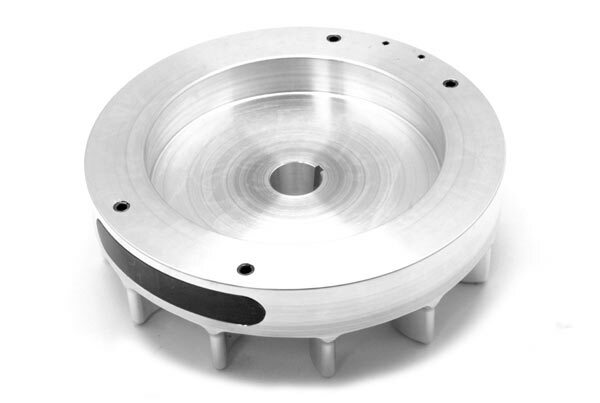 Set coil gap to .030"
This flywheel has an aluminium centre. Flywheels made for the GX200 and 196cc Clones, NOT for Predator Engine (Shaft taper is not same). Note: This Flywheel uses stock coil!